Digs & Rigs is an excavation and machinery company based in Queensland with over 20 years experience in the Earthmoving and Trucking industry. The Digs & Rigs team offer a professional service including machine hire in combination with operator services and machine sales for domestic and commercial sites in Australia. In an effort to shift the company to the next level a brand refresh and new website was required. A strong, professional and franchisable brand was created to push the company forward and help present Digs & Rigs as a leader in their field. Immediately brawny, dependable, memorable and approachable, the brand and logo needed to at the same time be adaptable enough to work across mediums as diverse as vehicle livery, environmental signage, printed collateral and online. 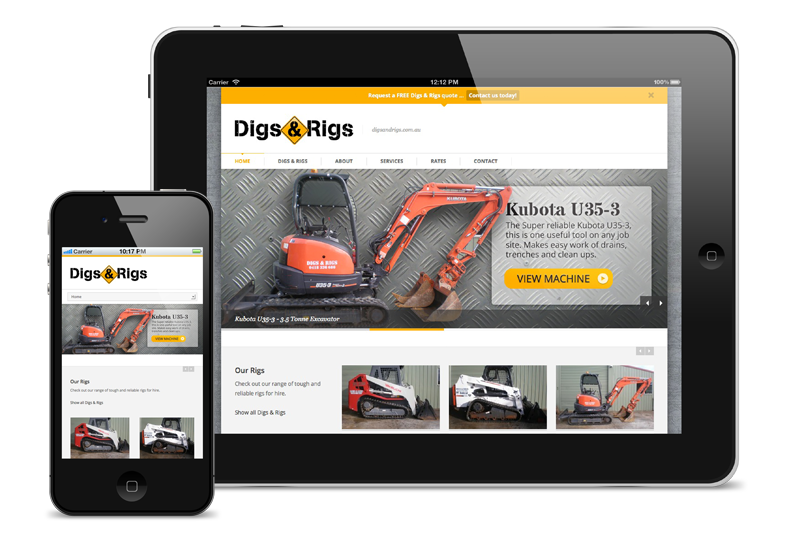 Along with the new brand and logo a custom CMS based, SEO optimised website was designed and developed to attract new customers and allow existing clients to enquire directly about the Digs & Rigs range of machines and services. A focus was placed on utilising a responsive framework to ensure the website was viewable across a wide range of devices including Mobile, Tablet and Desktop. 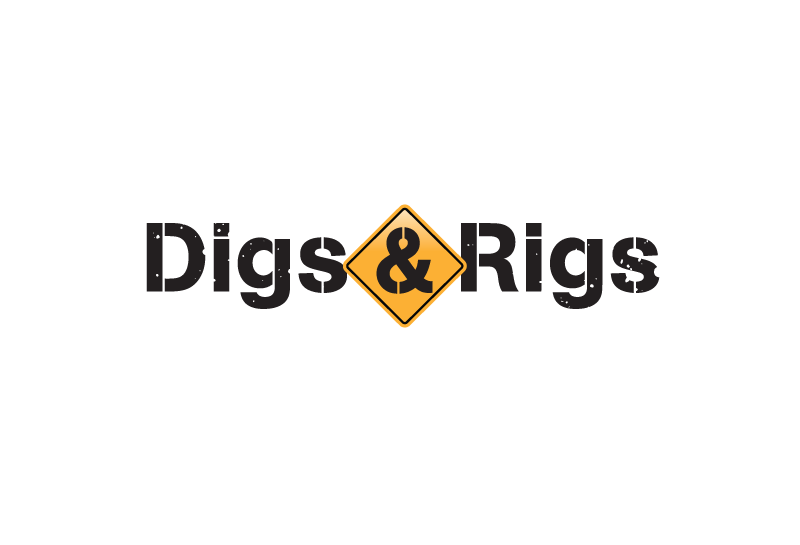 Digs & Rigs ensure you won’t be disappointed with their selection of late model, highly maintained machines. With a wide network of contractors and dealers Australia Wide Digs & Rigs can source what you need whether its For Rent or For Sale.